Isaac is an exceptional colt out of a proven combination!!! Nico and Fimke D (an imported Remmelt daughter) produce big fancy dressage movement, incredible disposition, and beautiful feathers...loads of presence. Mature height 16-16.1. His full brothers are Luke and Levi...so willing, honest, and gentle. Beautiful shoulder, neck and hind end. Bold, forward, powerful movement with lots of performance potential and the disposition to trail ride!!!! All round super colt!! Wow...check me out on the Stallions page! 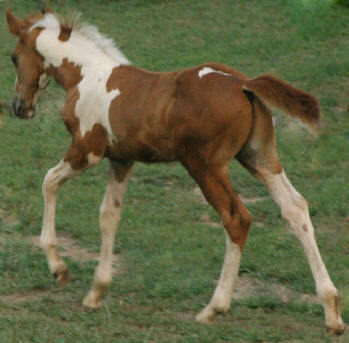 In-your-pocket sweet, very intelligent, absolutely trainable, leggy & athletic -- another beautiful baby out of Pure Brass! to Kimberly in Colorado. Enjoy every minute with each other. Lucky Leah.....thanks for blessing us! 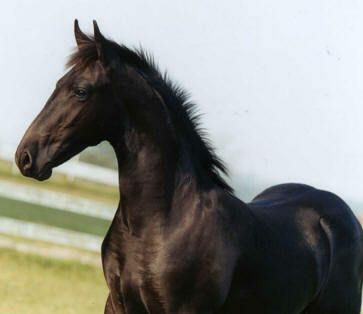 Out of a Mr. Prospector-bred beautiful hunter-type mare. Long-legged, athletic, and beautifully marked. A long line of performance horses behind this filly. 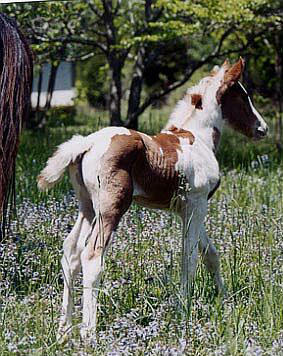 Calypso was imprinted at birth and is friendly and easy to train. Calypso shows potential for dressage, eventing, jumping, showing, along with a very fun personality. 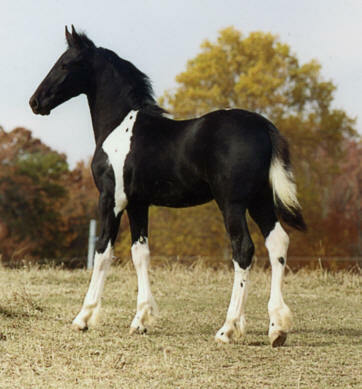 All of this talent is packaged in a beautifully-rich copper-and-white, head-turning colt!